We caught up with Kody Fitzgerald (pictured here, center, with other officers), Literature Club president, to find out all about the Literature Club. What is the goal of the literature club? Our club exists to foster the love of all things literature! Whether someone has a passion for writing, reading or grammar, we hope to further those passions. And, for those people who may just be curious about the literary arts, we hope to provide a community from which they can learn. What kinds of books will you be reading? Our club will choose, read and discuss a new book each semester. This semester, our members voted to read a classic in Japanese literature: No Longer Human by Osamu Dazai. It happens to be one of my favorite books, so I’m excited to discuss it with my club members! 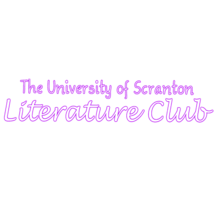 Why is it important for Scranton to have this club? For many, art is a great stress release, as well as a creative outlet. 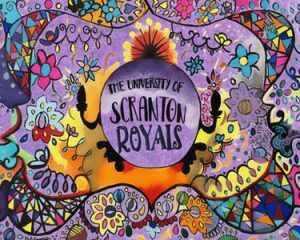 Scranton’s Art Club gives students a chance to express themselves through art while in a fun, social setting. Students come together to use their abilities to create something beautiful. Pictured here is a collaborative mural, made by officers of the club and participants of the Commuter Student Association (CSA) Carnival, on campus. The officers created the outline and participants filled it in with color. No artistic experience is needed to join Art Club. It is open to any students interested in art, and members enjoy the break the club gives to their academic lives. “It allows students to release from schoolwork, relax, meet new people, learn new skills and challenge the mind in critical/creative thinking,” Black said. Club meetings vary depending on events. For more information, visit Art Club’s Royal Sync page. The Friday downpours didn’t stop the excitement for the Fall Club Fair this year. Although usually held on the Dionne Green, the fair had the Fourth Floor Denaples Ballroom buzzing with students excited to get involved on campus. Although the ballroom was crowded, with clubs having to share tables just to fit inside, spirits were still high. Scranton students never mind sharing for a good cause! As music from the Mamma Mia soundtrack filled the room, students signed up for clubs that resonated with their passions. 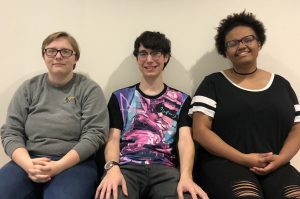 Whether it was the Biology Club, Gaming Club, Scranton Players or Compassion for Animals Club, there was no shortage of diversity in what students had the option to join. “We’re really excited for this year and for all of the new members. We wish the fair could have been on the Green, but we’re here to make the most of the situation and promote the clubs regardless,” Liz Kugler, secretary of Compassion for Animals Club, said. Fair day may have been rainy, but with new and motivated members joining clubs on campus there will be many sunny days ahead. Still not sure which club to choose? Browse them online at clubs.scranton.edu or find out more information here. Commuter Day the Royal Way is coming up on this Friday, August 10th! Navigating college as a commuter can be different in some ways than doing so as a resident, but it is just as fun and exciting! We’re here to help you find the resources and opportunities to guarantee smooth sailing those first few weeks of the semester. 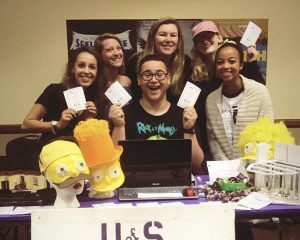 The Commuter Student Association is a student-run organization that works to make sure all commuter students are able to participate in and feel connected to the campus community! In addition to the many resources that the organization provides, CSA also hosts several events throughout the semester that include frequent Coffee Hours and even a Murder Mystery Dinner! Feeling a little overwhelmed with having to prepare for the new semester? The Office of Off Campus and Commuter Student Life, located in The DeNaples Center Forum room 205T, provides tons of information for students who will be commuting or living in off-campus residences. If you have any questions regarding meal plans, parking passes or other aspects of off-campus living, OCCSL has plenty of resources for you! Interested in voicing your opinion and those of your constituents? The University of Scranton Student Government includes two elected senate positions for commuter students. Whether you run for the position or simply get to know your commuter senators, Student Government is a great resource for commuter student representation. Concerned about lugging books and other items around campus? Don’t be! 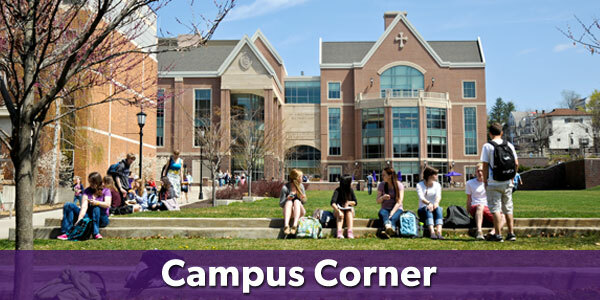 The University of Scranton offers free individual lockers for commuter students. Stationed on the first floor of the DeNaples Center, the lockers are conveniently located in the hub of campus. Have some time between classes? Drop your books off at your locker, then grab a coffee or pastry at Starbucks and unwind on the couches available in the DeNaples Forum! Living in Northeast Pennsylvania during the winter months means enjoying some snowy days! The Severe Weather Hotline (941-5999) is available for information regarding delays, cancellations, and compressed class schedules. A University of Scranton Text Alert will also be sent out to students regarding any change in class schedules due to inclement weather. Be sure to sign up to keep updated on any weather related changes to your class schedule! Be sure to check out the links below for more information about the various resources available to University of Scranton commuters. And whether you’re planning to commute or live in one of our residence halls, we’d love to invite you for an information session and tour of our campus! Click the link below to schedule your visit! The Public Relations Student Society of America (PRSSA) has a local chapter here at The University of Scranton, the club is headed by president, Kelly Lappin, and vice president, Dania El-Ghazal. The objective of PRSSA is to enhance the education of public relations professionals (although the club is open to any major or concentration) through real public relations work and cases, as well as broaden the students’ professional network and aid in launching careers post-graduation. PRSSA helps to develop superior leadership abilities among its members as well as create more engaged and professional public relations students. This club helps to foster community engagement and create service-minded individuals. PRSSA has done a multitude of cases and volunteer work with The University of Scranton. For example, last year PRSSA hosted “Happiness Week” which was centered on the mission of eliminating the negative stigma associated with mental health as well as garnering awareness to mental health issues. 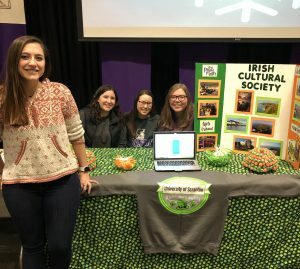 This year, PRSSA is working alongside the Leahy Clinic to help with marketing, advertising and branding of the clinic in order to reach out to a wider range of audiences and gather attention for the work that the clinic does for, not only the University but, for the local Scranton community. PRSSA is also currently working on the Bateman Case Study in preparation for the presentation of their findings at the national conference held each year. For more information about PRSSA, visit their page.